Daniel Gaibel, information technology manager for the Language Resource Center (LRC) for 18 years, died March 30 of metastatic melanoma. He was 45. 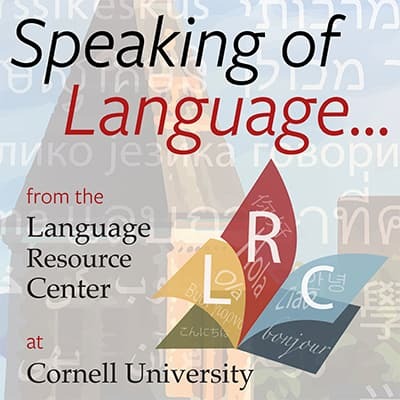 A new season of podcasts from the Language Resource Center (LRC) celebrates 2019 as the United Nations International Year of Indigenous Languages. The LRC Podcast features weekly discussions about language learning and pedagogy, highlighting the work we and our partners do on campus and in the community. A typical episode is hosted by a member of the LRC and introduces new initiatives, teaching ideas, or general trends in second language learning and teaching. Look for new episodes with every semester at Cornell University. Listen to the most recent episode here, and binge on our archived episodes.